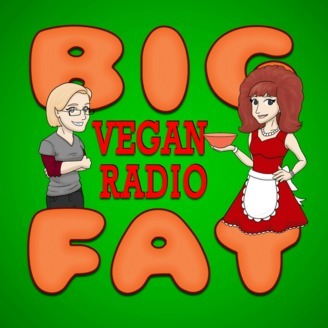 For all things big and fat and vegan! Have you hear the one about the girl who offered The Pope a million dollars to go vegan? Well, if that sounds like the setup for a joke — it’s not! Meet Genesis Butler, recipient of the Young Animal Activist Award at the 2018 Animal Rights National Conference, is back from the Vatican where she had a petition delivered to the Pope asking him to go vegan for Lent! I’ll be including some links for you below, but I’m going to let Genesis tell her own story about Million Dollar Vegan and her trip to Vatican City, Italy. – MAILING LIST!!! : Sign up for our new Mailing List/Registry HERE! Honey LaBronx’s fundraiser is STILL ongoing! If you haven’t already, please consider supporting my work with a donation. UPDATE: An anonymous donor has just agreed to MATCH your donations dollar-for-dollar up to $1,000 until the end of this month! That means that today, Tuesday, Wednesday, and Thursday — anything you donate will be DOUBLED! If we can reach just another $1,000 by Thursday, then I will be able to afford to buy my new laptop and hopefully have it with me in time for my Florida tour, which will make it possible for me to do my work on the road! And while you’re at it, there are some fantastic perks you won’t want to miss out on! If we raise more than that, there is still plenty of new audio/video equipment I need, and some special services I’ll need to outsource — but for now I’m praying that at the very least, I can get that laptop so that I don’t have to abandon my work for weeks at a time every time I go on the road! 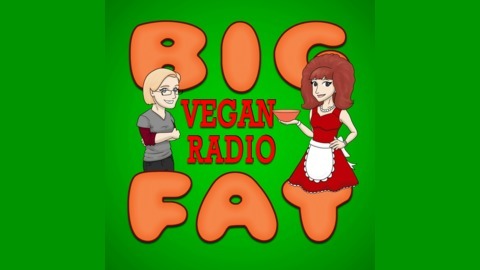 Check out the new website for Big Fat Vegan Radio! Michael Harren for our theme song! And an emphatic THANK YOU to Jesus Franco for our new logo!